Unless you’ve been hiding under a rock for the past year or so, you may have realised that the global economy has been somewhat tenuous. People have learned the hard way that they need to be wise with their money, and, for some it means taking on extra work to boost their income, pay off that credit card debt and start saving money again. But why make your life more miserable than it already is? Sure, you could get a job in the local fast-food joint, take on ironing in the evenings or even run a garage sale, but where’s the fun in that? Why not try your hand at something you’ve never done before, and still make money. Here’s a guide to some of the weird, wonderful and downright peculiar ways of earning a few extra bucks during a cash crisis. Selling your body for medical research isn’t as scary as it sounds. All trials and testing are heavily controlled and have to adhere to strict guidelines, especially in the US, Europe and Australia. Participants are often recruited to test drugs which have yet to be deemed clinically safe, but to get to this level they’ve already gone through rigorous testing, just not on humans. 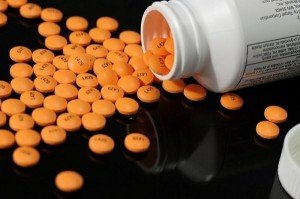 Generally, the trials are held to determine the correct dosage, so budding participants should be aware there may be possible side-effects, although this will all be explained beforehand. Those not freaked out by the idea and willing to become a human guinea pig will need to be in good physical and general health, though some trials actively seek people with asthma, are overweight, or who smoke. The levels of financial compensation vary depending on whether you’re simply taking a test-drug alongside your normal diet and life, or if you’re undertaking a residential stay in a private clinic. If you’ve signed up to stay over you may have to eat a regimented diet, but you’re also kept entertained in what is, essentially, a private hotel with medical staff. Oh, and you’ll need to be prepared to be woken at all hours to have tests or provide samples, so this money-making method is not for the faint-hearted. We are regularly reminded that donating blood is a good thing and we should do it as often as is safe. Blood saves lives in hospitals and operating theatres across the world. But have you ever thought of selling it? In Europe, donors are generally not paid for their contributions but in the US, where the concept of free health care is yet to take hold, you can collect up to $35 per donation. It only takes a short amount of time to donate and your body replenishes the lost blood within a day. If you’ve got a nice head of hair and you don’t mind parting with some of it, you can make some good money. It’s mostly used by manufacturers to make wigs. To be saleable, your hair needs to be clean and in good shape and also untreated — nobody wants to buy your highlights or second-hand hair extensions — and needs to be at least 25 cm in length once cut. So if you want to retain some hair on your head afterwards, look to grow it to about 30 cm in length before you go lopping it all off. Specific hair-sale websites allow users to list details of their flowing locks for sale. 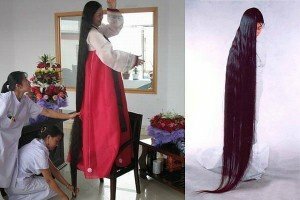 The right head of hair can command prices up to US$1,000. If you’ve got a cute pet you might do more with it than just sit around at home stroking it. Get it out there; show it off and make it earn its keep! Pet modeling is big business, especially with cats and dogs. Pet food manufacturers always need photographs of healthy-looking pooches for their marketing campaigns. Though, you’d be advised to get a good agent as some companies can be ruthless and will rip you off, or even try and placate you with free supplies of their product. If you’ve got a pet that boasts its own produce, take advantage of the business opportunity. Goats and cows are always good for free-flowing milk and therefore diary produce, and the wool from sheep or alpacas make great garments. And, if you’re feeling extra-entrepreneurial why not pimp your pooch to single friends keen to pick up. You don’t have to be a professional photographer to get paid for your pics. Good images are needed everyday by journalists and picture editors, who spend ages trawling the internet to find the perfect picture to accompany an article. And you’d be surprised what type of images they need. Sometimes they’re looking for incredibly mundane shots of inanimate objects, or people posing with everyday objects, as well as wonderful artistic shots that only the gifted seem to be able to produce. Grab your camera and start shooting anything and everything. You might not think it, but images of letters on a scrabble board, plant pots in your back garden or pictures of dogs in the park might be perfect for an article. There are a number of stock image agencies online, which offer both one-off payments and royalties, you just need to find the right one for you. It was only a matter of time before some bright spark used this latest pandemic disease to rake in the cash. 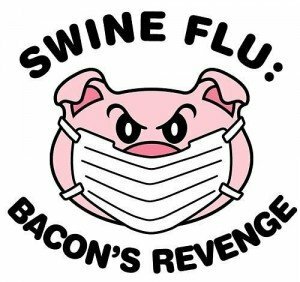 Inventive designers have created a series of comical swine flu T-shirts, which are currently selling like hot cakes, while others have released swine flu-branded face masks, which will please some members of the extra-cautious, yet fashionable, public. If you can make something reasonably unique, which you think will sell well online, then get cooking, making, baking or inventing. You’ll need to set up an online shop and website, so there may be some initial outlay, but if your idea works, it may turn into a lucrative business. Yes, you read it right. Making money from your manhood is one of the lesser-known but potentially regular, and quite well-paid, second jobs a lot of men have, but don’t often boast about. 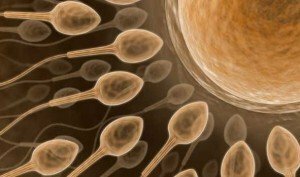 Of course, donating sperm once a month may not be the best course of action for those who are worried their off-spring will seek them out in 18 years when they’d like to meet daddy. Finding out it was all about the money may not be the reunion your grown-up sperm was hoping for. Linda McCormick is a regular writer for Credit Card Compare where you can find out the best credit cards on the market. Pshh, Karma will hit the ones who think donating for money is bad. Money talks, and for some its the only way to get them to donate. Wait till your laying, bleeding in the Hospital in need of blood, but none available because someone read your post and didnt donate for the sake. And to think that I cut off my 18-inch ponytail for free. Now I will have to sneak into my wife’s closet where she keeps it to see if I can sell it. I think there are some bad ideas and some good ideas, but im not going to say which I agree or disagree with. Like someone else said to each its own. You never know what people circumstances are. What may work for one might not work for another. Selling your blood is the best one. 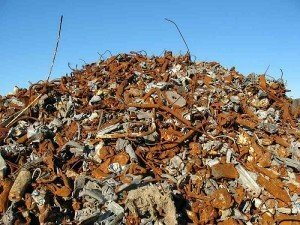 I can tell you scarp metal is a winning strategy if you can get your inventory for free. I use to own a thrift store and bought my stock from storage unit auctions, I made $800-3200.00 a month off scrap metal ( including gold) but it is challenging! I got my metal as a by product of buying household items. Now that sperm donor ideal is a trip, you are just a seeder! I met a guy who literally makes full time income just scrapping random junk that he finds or that people trash. Not exactly what I’d like to do for a full time job, but to each his own. Not sure how well he’s doing now though after scrap metal prices took a dive though. #9 would be great and all, but they’re really strict (no drinking allowed) and having one of me walking around is plenty at the moment! Ya i totally agree that these all are the weird and worst ways of making money. Why not pay those who contribute by way of comments or extra ideas? You’ll be doing a great service. Ideas can end up as big opportunities. Dreams really do sell. I’d sell a dream if there’s some one willing to buy! Those ways are not really weird. It’s kind of common depending on the setting. In my college, I see tons of fliers asking for medical testing for student 18-23, the compensation is good too,like 100$ per session or something. And Ashley is right, I saw the advertisement about infertile couples need female eggs and pay 5-10k for it. But it comes with funny strings like a certain race (apparently Jewish is preferable), a certain SAT score, come from Ivy League School, etc. for higher compensation. 5-10k is certainly good but also I’m sure the procedure is super complicated. Have never tried before but not intend too. Not ready to part with my this kind of DNA yet. good ideas. It would be great if you post links or locations for people interested in carrying out some of these. Impressive presentation! Funny yet innovative… Well you can also invest in Mutual Funds to earn more. @Raghu – Just because you don’t agree with everything Linda (the author) wrote doesn’t mean that she is incorrect, or that you’re incorrect — or that the site is not worth visiting for that matter. There are plenty of people who sell blood for money and a lot more who donate. You might say it’s “wrong” now, but what if you have to decide between selling your blood or letting your baby starve? Please don’t belittle things that you don’t agree with. Hey you guys forgot some other good money making tips. 2) sell one of your eyes, you really dont need two eyes to see. 3) Hey you can even sell your soul. (I read about it somewhere yesterday). Donating blood, sperm should be done for social causes. What are we becoming as people? Please stop giving such advice. Beginning to think now if I should even spend my time visiting this site. Don’t forget the female alternative to #9. Ladies can also sell their eggs! My college newspaper was full of advertisements seeking healthy, educated females looking for make an “easy” 5K while helping a couple in need. With a little research most were turned off by the possible complications the procedure could cause. I really like the idea of selling stock photos. That’s one I wouldn’t have thought of. On another note: A lot of money was made by unofficial Obama memorabilia this political season. In college I donated plasma at $25 bucks a session for a month to save some money for spring break. It worked. Though all the ways suggested by you are good but personally I don’t like to sell blood for the sake of money. Blood donation is of course good but it should be for social cause not for financial gains. There are many online earning methods also that need very low almost nil investment.